Private Utility Locating & GPR Service | Underground Services Inc.
SoftDig provides full service Utility Locating and Subsurface Utility Engineering (SUE) services to Engineering, Surveying, Construction & Environmental Firms throughout the Country that service Commercial, Institutional, Industrial & Governmental Markets. 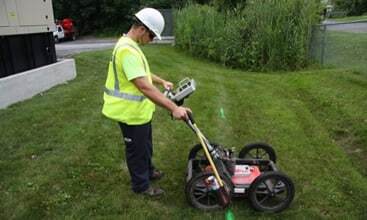 Ground Penetrating Radar (GPR) is a mobile utility locating device that can be used to locate underground utilities, storage tanks, voids, and other underground anomalies. Vacuum excavation is the process of removing a column of earth with a vacuum system comprised of a truck-mounted compressor/vacuum system that utilizes a thin nozzle tube. SoftDig® provides quality private utility locating to accurately find and document the location of existing utilities such as electric, gas, water and communications lines. 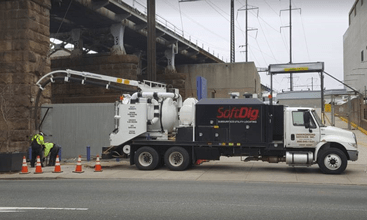 Underground Services, Inc (SoftDig®) takes pride in providing the highest possible quality utility data collection for our clients, exceeding their expectations every time. 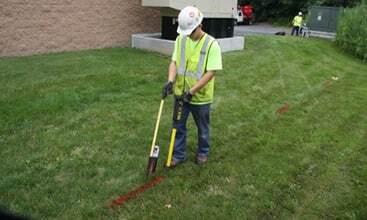 Our staff of dedicated technicians, professional engineers and support staff work very hard to provide accurate documentation of existing underground utility infrastructure by utilizing state of the art technology and methods. As one of the first Subsurface Utility Engineering (SUE) providers in the United States, we have a wealth of knowledge that our clients, including many of the large engineering, industrial and construction firms in the Northeast and Texas, have come to depend on in planning and executing their complex projects. Our outstanding client service means that we thrive on repeat business from clients who know that our professionalism and reliability means accurate data collection performed economically and promptly.